The information about this bug in Launchpad is automatically pulled daily from the remote bug. This information was last pulled on 2019-02-12. If I set my default zoom level greater than 150%, I see my emblems (which are located on the right upper side of the icons) cut on the right side. So half of the emblem is hidden/(cut off). Thanks for your bug. What version of Ubuntu do you use? What icon theme? Do you use the compact mode? Text behind icons or not? Could you make a screenshot of the issue? I installed dapper (may 22 release), I switched several times my icon theme from osx to nuoveXT, and then back to default (human); but I see the bug with all of them. I installed dapper also on another pc, it has the same problem. is the issue fixed by scrolling too? This bug has existed for years. Makes scaling icons over 100% nearly impossible. Wish someone would get around to fixing it. It's a shame that they're developing useless fancy effects like 'nice effect when launching an application' from panel, and bugs like this exists for years. Another rendering bug when using background in nautilus, and switching from normal view to listview than back to normal, the background image'll be totally distorted. 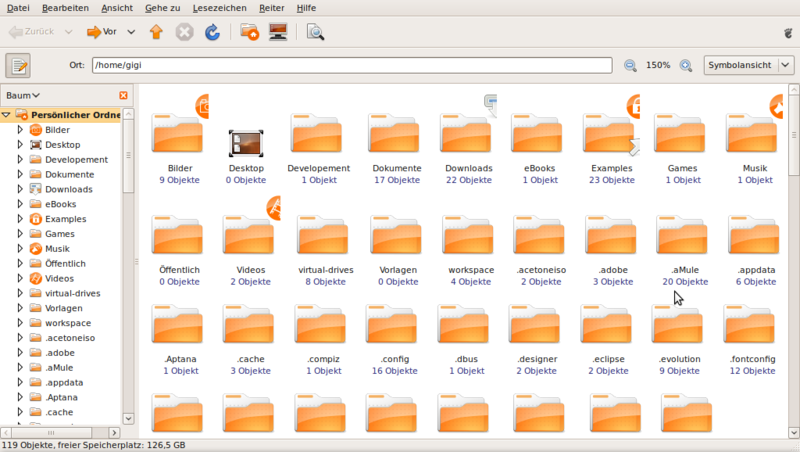 These kind of bugs makes GNOME (and Ubuntu) feels really unprofessional, so 'Low' importance should be reconsidered. Yeah, I must agree with you. I've just realized this bug, and I'm really surprised it's been there for such a looooong time. Besides, are you sure this bug is upstream issue as it looks from assigning it to http://bugzilla.gnome.org/show_bug.cgi?id=343540 ? I just can't believe that so obvious bug would not be confirmed for such a long time. I tried some icon themes and and I've realized that the problem occurs only with some themes (and Human is one of them). With default gnome theme and tango icon theme emblems aren't cut off. Thus, it looks more like a theme issue. 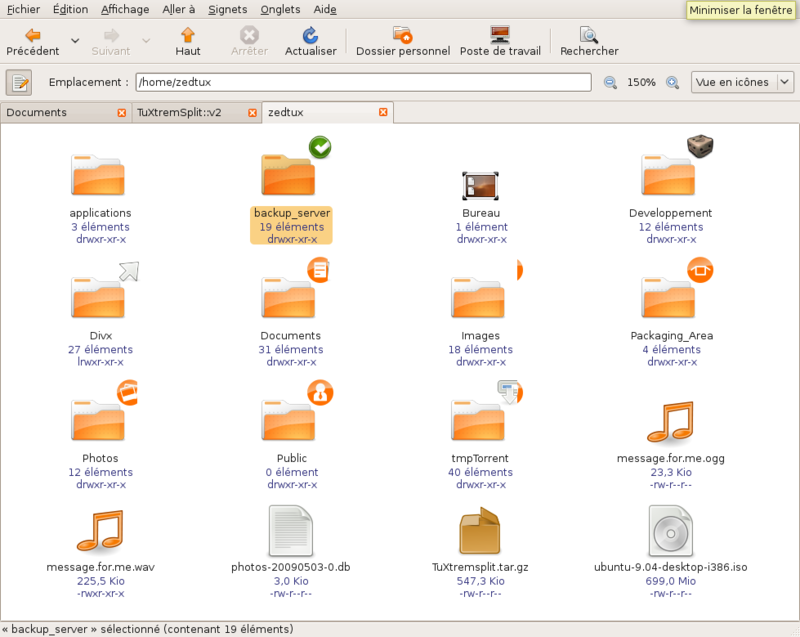 Tango and GNOME Default icon themes're cut at my install (Hardy alpha). When I'm using the 150% default iconview . I can confirm this bug is present on Intrepid Alpha 6 (screenshot attached). I'm using Hardy and I'm also facing this issue. I am using Ubuntu 8.10 (intrepid), and the problem still exists. If you click and drag over the icons, the emblems are redrawn. Also you can ctrl-2, ctrl-1 and they are also redrawn. Maybe the actual problem is in the zoom function. I have settled by using 100% zoom. Another annoyance is that you cant set a colored background for any of the side panels except the information side panel. I can confirm this bug using Ubuntu 8.10 (intrepid). 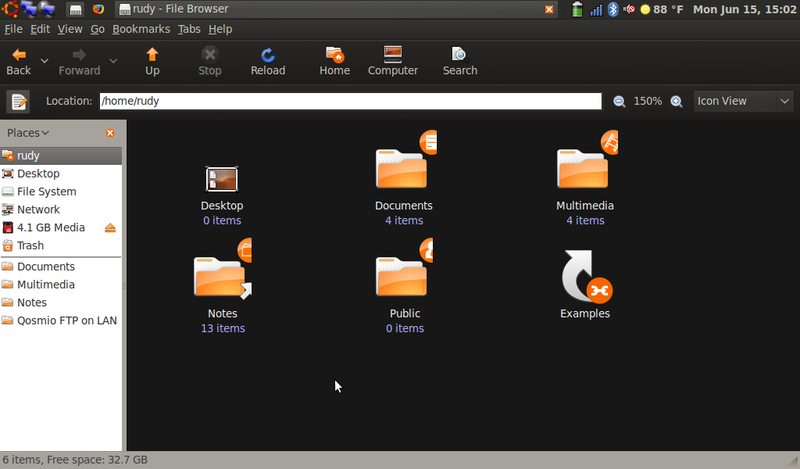 I can confirm this bug using Ubuntu 9.04 (jaunty). I can confirm this as well with Jaunty. It would be great for this to finally get fixed. 1) Wow, such a nice emblems! Let's put some of them on my files and folders for better orientation! Ubuntu rocks! 2) Even more wow, customizable zoom level! 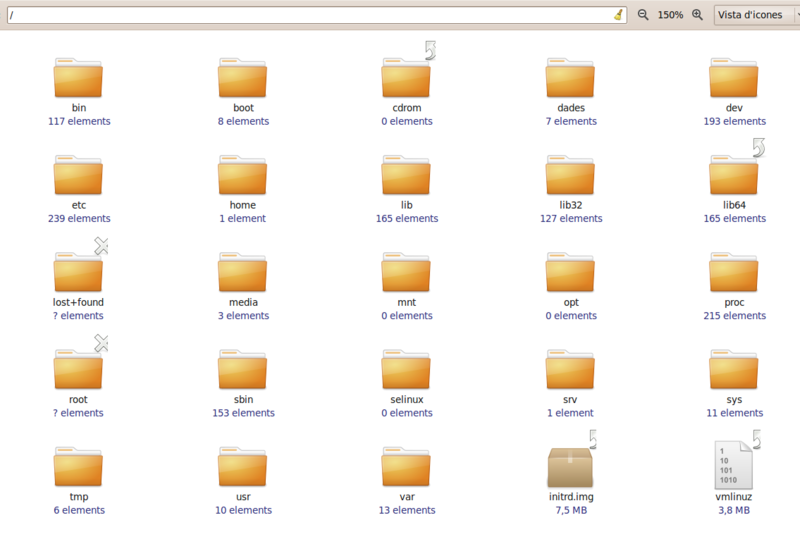 Let's set it for some of my folders for better navigation! Ubuntu rocks! 3) Eww, what's this mess now? Looks that I must decide which one of these two I like best... hmm... maybe neither, never mind. Maybe it's my own fault to demand such a things. Ubuntu... well... rocks anyway, it's definitely my fault. Dapper. Edgy. Feisty. Gutsy. Hardy. Intrepid. Jaunty. Karmic Alpha 2. I can't even believe it myself, can You? Let's fix it for good. In One Hundred Papercuts project. This may not strictly be a usability bug, but it detracts greatly from overall polish of the default experience and should be simple to fix, so I've confirmed it in hundredpapercuts. Still present in Karmic alpha 5, anybody working on it? 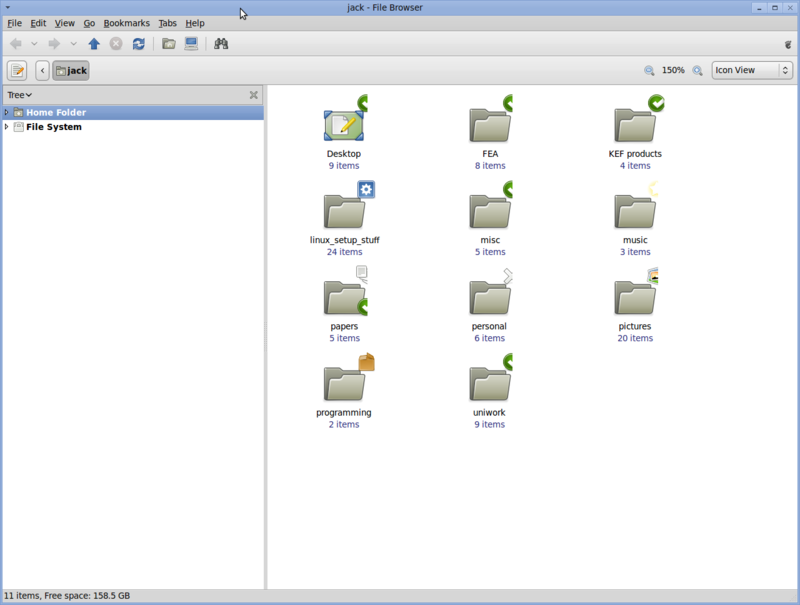 This bug is present in Gnome since 2007 and it seems that nobody is working on it. I think we should disable 150% view or fix this bug, otherwise gnome gives the a bad impression to the end user. This bug has annoyed me for many years, and it is amazing that it has not been fixed. I use symlinks alot, and they get an emblem icon, and this bug makes me feel that the system is not polished. I can't understand that this is so difficult to fix? 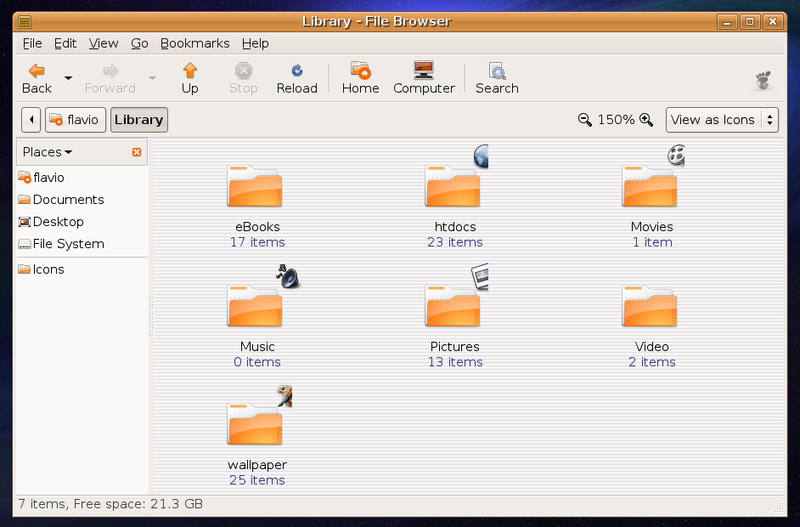 Bugs like this makes users feel that Ubuntu is messy and buggy in the user interface. Could someone post a screenshot of this bug with the default Humanity theme ? 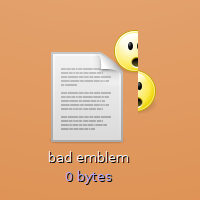 We are in the process of fixing an issue with emblems, So we could have a look at this bug too. This is at 200% zoom level. The error is only visible after moving the icon. Drawing a selection box over the icon fixes the emblem. So the problem with the 150% zoom no longer arises with the default humanity theme? But only with the 200% ? It is also a problem on 150%, but in that case it is just a sliver of the emblem that is misaligned. It is there, just more subtle. I believe this is a problem with Nautilus and not with the theme, so I'm marking as invalid for Humanity. However, we're experimenting with emblem placement and we think we have somewhat of a workaround. It took me not so much time playing with the windows (minimize, refresh, move, unfocus windows, etc) to make it appear. Yup, this problem very much is alive in both Jaunty and Karmic. I know other burning topics must be priorities now, but come on, this one has been there forever, it deserves action! I can't believe this annoying bug is still present in Karmic. Has lived for at least 3 versions. For a new ubuntu user, it is a disappointment. This is still an issue after Lucid beta 1. Any chance a fix could make it in for release? The bug has so many years, that I think I'm begining to love this little bug. But hope it could fly away from the Ubuntu home. Cool, and thanks Marcus ! As I understand this can be worked around by adding a *.icon file for each folder and file icon with attach points  as the rendering is working for that (could be a good workaround for lucid if you don't want to patch nautilus).